Supposed “facts” about physical therapy that may not make you apt to want to try it. Well, it’s time to debunk those myths and give you the real facts. Fact: A recent survey by the American Physical Therapy Association (APTA) revealed 70% of people think a referral or prescription is required for evaluation by a physical therapist. However, all 50 states and the District of Columbia (DC) allow patients to be evaluated by a physical therapist without a physician’s prior referral. Some states have restrictions about the treatment a physical therapist can provide without a physician referral. Additional Resource :: Do I Need A Referral From My Doctor For Physical Therapy? Myth: Physical therapy is painful. Fact: Physical therapists seek to minimize your pain and discomfort, including chronic or long-term pain. They work within your pain threshold to help you heal and restore movement and function. The survey found that although 71% of people who have never visited a physical therapist think physical therapy is painful, that number significantly decreases among patients who have seen a physical therapist in the past year. Myth: Physical therapy is only for injuries and accidents. 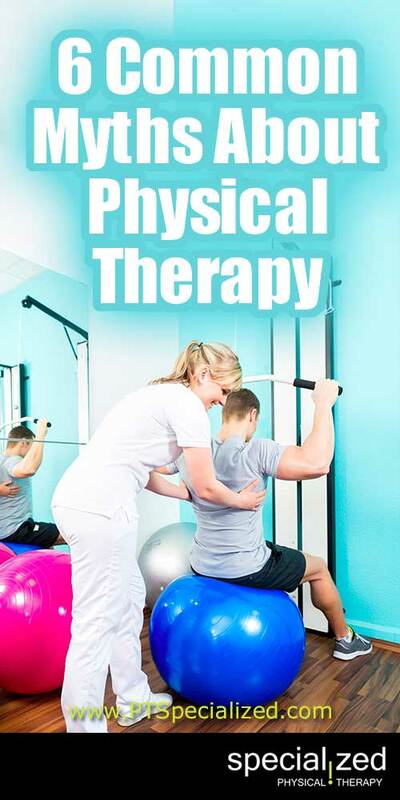 Fact: Physical therapists do a lot more than just stretch or strengthen weak muscles after an injury or surgery. They are skilled at evaluating and diagnosing potential problems before they lead to more serious injuries or disabling conditions, from carpal tunnel syndrome and frozen shoulder, to chronic headaches and lower back pain, to name a few. Myth: Physical therapy isn’t covered by insurance. Myth: Surgery is my only option. Fact: In many cases, physical therapy has been shown to be as effective as surgery in treating a wide range of conditions, from rotator cuff tears and degenerative disk disease, to meniscal tears and some forms of knee osteoarthritis. Those who have recently seen a physical therapist know this to be true, with 79% believing physical therapy can provide an alternative to surgery. 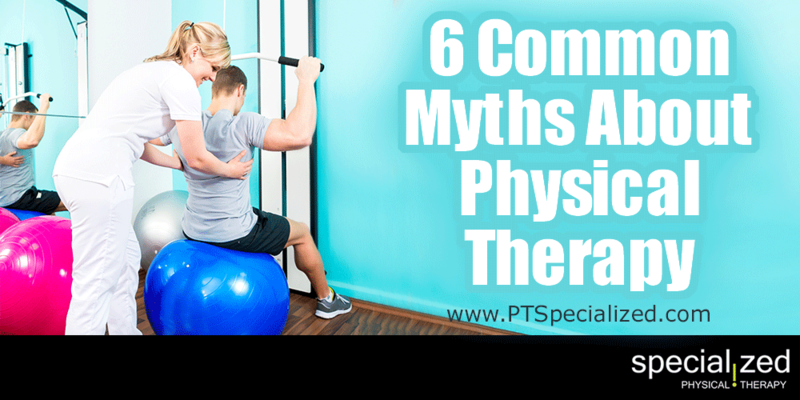 Myth: I can do physical therapy myself. Don’t put it off. Now that you have no excuses call for an appointment to have one of our expert physical therapists help you with your pain, chronic condition or other issue.